Woolworths has confirmed customers will again be able to obtain Qantas Frequent Flyer points for shopping under the supermarket giant’s overhauled customer loyalty program from 2016. Under the revised ‘Woolworths Rewards’ scheme, which launched on 28 October, shoppers are rewarded with Woolworths Dollars for purchasing ‘orange ticket’ items across a range of product categories. This replaced the points-based Everyday Rewards offering. As part of the new program, Woolworths dropped the ability for customers to earn Qantas Frequent Flyer points on their shop, a decision that triggered significant backlash from consumers who took to social media to share their views. In an apparent backflip, Woolworths announced today that customers would again be able to earn Qantas points from their shopping, although the ways and means of doing so has changed. From 1 January 2016, customers can choose to convert Woolworths Dollars into Qantas points, with $10 equal to 870 Frequent Flyer points. Previously, customers earned points for every dollar over $30 spent. To do so, members will need to activate the offer and link their Woolworths Rewards cards to their Qantas loyalty details. But there may be a wait until consumers start getting those points back. In a statement, Woolworths and Qantas said they’re working on implementation of the Qantas Points option, including necessary IT and systems changes, with a full launch expected in the first half of 2016. Between 1 January and the new scheme taking effect, customers who previously earned Qantas Points via Woolworths Rewards will receive bonus earn offers that allow them to accrue points, the company said. Those previously obtaining Qantas points on fuel purchases at Woolworths co-branded petrol stations will automatically switch to a $0.04 per litre fuel discount from 1 January. “This new agreement means our customers can choose from two great options,” Woolworths’ Food Group managing director, Brad Banducci, said. “Those who prefer cash back can continue to use Woolworths Dollars to get money off their shopping, while avid points collectors will have the option to convert their Woolworths Dollars into Qantas Points at a very attractive rate and with no minimum spend. 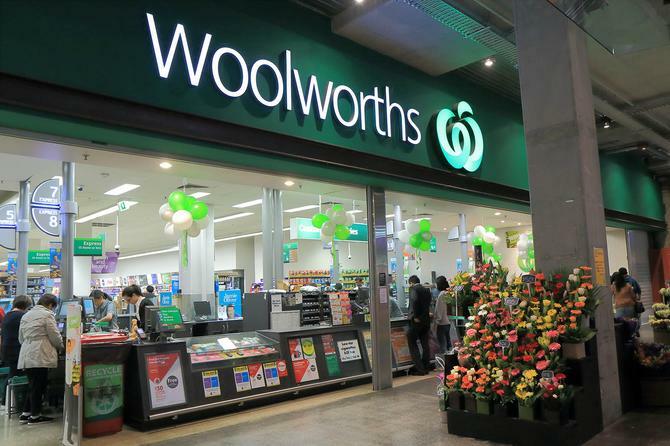 Banducci also claimed the revamped Woolworths Rewards program is delivering for customers, with strong member growth and increased scan rates at the checkout since its launch. Qantas Loyalty CEO, Lesley Grant, said the airline was pleased to continue its six-year association with Woolworths. “We know Qantas Points are a very popular choice for a lot of people, particularly those who are earning them in several ways. Those customers tend to preference brands that offer Qantas Points because it helps them reach their goals faster, which can mean upgrades on flights or taking the family on an overseas holiday each year,” she said. According to Woolworths, about half of its Everyday Rewards members were linked to the Qantas Frequent Flyer Program, and of those, 32 per cent had not redeemed points for flights or other goods during the life of the program. However, it admitted the relationship has helped avid points collectors to reach their goals. The company said 9.4 million flights were redeemed using points earned at Woolworths under the Woolworths-Qantas relationship, with about 80 per cent of points redeemed on flights. Back in October, Woolworths had claimed just 9 per cent of its customers preferred a points-based scheme. At least one customer was happy about the news, although another suggested it might be "too little, too late".